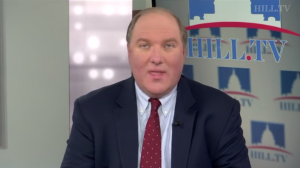 Who is Stefan A. Halper, the FBI source who assisted the Russia investigation? In Senate testimony last week, Attorney General William Barr used the word “spying” to refer to the Obama administration, um, spying on the Trump campaign. Of course, fainting spells ensued, with the media-Democrat complex in meltdown. 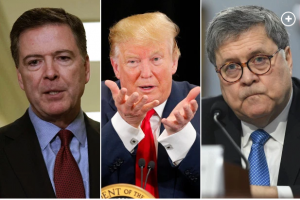 Former FBI Director Jim Comey tut-tutted that he was confused by Barr’s comments, since the FBI’s “surveillance” had been authorized by a court. (Needless to say, the former director neglected to mention that the court was not informed that the bureau’s “evidence” for the warrants was unverified hearsay paid for by the Clinton campaign.) The pearl-clutching was predictable. Less than a year ago, we learned the Obama administration had used a confidential informant — a spy — to approach at least three Trump campaign officials in the months leading up to the 2016 election, straining to find proof that the campaign was complicit in the Kremlin’s hacking of Democratic emails. As night follows day, we were treated to the same Beltway hysteria we got this week: Silly semantic carping over the word “spying” — which, regardless of whether a judge authorizes it, is merely the covert gathering of intelligence about a suspected wrongdoer, organization or foreign power. There is no doubt that the Obama administration spied on the Trump campaign. Just before Thanksgiving, House Republicans amended the list of documents they’d like President Trump to declassify in the Russia investigation. With little fanfare or explanation, the lawmakers, led by House Intelligence Committee Chairman Devin Nunes (R-Calif.), added a string of emails between the FBI and the Department of Justice (DOJ) to their wish list. Sources tell me the targeted documents may provide the most damning evidence to date of potential abuses of the Foreign Intelligence Surveillance Act (FISA), evidence that has been kept from the majority of members of Congress for more than two years. The email exchanges included then-FBI Director James Comey, key FBI investigators in the Russia probe and lawyers in the DOJ’s national security division, and they occurred in early to mid-October, before the FBI successfully secured a FISA warrant to spy on Trump campaign adviser Carter Page. The email exchanges show the FBI was aware — before it secured the now-infamous warrant — that there were intelligence community concerns about the reliability of the main evidence used to support it: the Christopher Steele dossier. The exchanges also indicate FBI officials were aware that Steele, the former MI6 British intelligence operative then working as a confidential human source for the bureau, had contacts with news media reporters before the FISA warrant was secured. Was Trump’s Campaign ‘Set Up’?